Project Location(s): Banda Aceh, Bali, Sukabumi, Bandung, Surabaya, Semarang, Makassar. 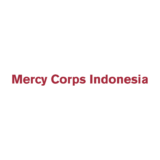 Launched in 2005, the Microentrepreneurship Awards is a program implemented by Mercy Corps Indonesia (MCI) that aims at raise awareness on the importance of micro-entrepreneurship and microfinance in supporting the financial inclusion and economic empowerment of low-income individuals. It also aims to highlight the important role micro-entrepreneurs play and contribute in their local economies; catalyze innovations among microfinance institutions (MFIs) that will lead to an increase in their outreach and their micro-entrepreneur portfolios; and to leverage awareness of policy makers within the government of Indonesia towards enabling a supportive environment for micro-entrepreneurs through a conducive set of regulations. The Microentrepreneurship Awards competition is open for the public and micro-entrepreneurs were able to apply through the official website in October – December 2018. From all the applicants, 50 Semifinalists was then selected and visited by the committee to conduct a survey on their businesses and MFIs. After further verification and evaluation, 20 applicants were selected as the finalists. The selected finalists were then invited to attend a 3-day boot camp and final judging that will determined 8 micro-entrepreneurs and 1 MFI winners. Each micro-entrepreneur winner will receive prizes and coaching and mentoring for two months to further develop their businesses. The Micro-Entrepreneurs Mentoring Consultant will be responsible of designing and delivering training/ coaching/ and or mentoring and provide trainers/ facilitators/ and or experts to support the business development of 8 micro-entrepreneur winners. Support the overall business development of the 8 micro-entrepreneur winners by increasing their capacity (skills and knowledge), connecting them to a larger supply chain, and providing access to sustainable pool of local and national resources, communities, and experts. Design a training/ coaching/ and mentoring program based on the needs of 8 micro-entrepreneur winners. Travel to each micro-entrepreneur winners’ locations to deliver the training/ coaching/ and mentoring program. Provide trainers and mentors or experts for the training/ coaching/ and mentoring program. Provide the necessary tools, supplies, and logistics related to the training/ coaching/ and or mentoring program. Conduct additional indirect coaching and mentoring through telephone, messages, email, social media, or other communications platforms. Measure the agreed key performance indicators for each participant as the output of the training/ coaching/ and mentoring program. 8 customized training/ coaching/ and mentoring program designs. 8 training/ coaching/ and mentoring schedule. 8 training/ coaching/ and mentoring program final reports. The training/ coaching/ and mentoring program will be conducted in a 2 – 3 months’ period starting at April – June 2019. The final report should be received no later than 19 June 2019. CV of team members that will join each mentoring sessions. Numbers of consultant that will join each session. Transportation and accommodation for the consultant team for the duration the activity will be borne directly by MCI. Please note: Acronyms must be spelled out at first mention. E.g. Training of Trainers (ToT) or Multi-Year Assistance Program (MYAP).